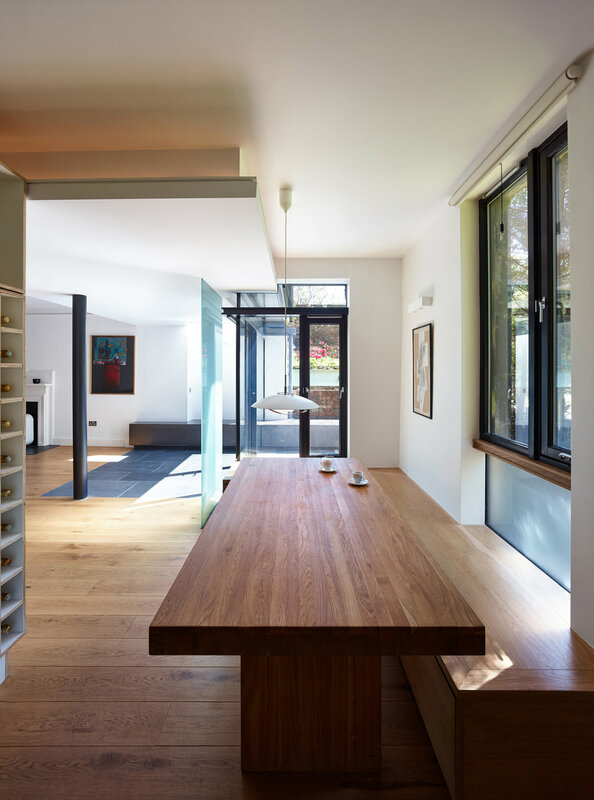 This garden flat in the Inverleith conservation area, Edinburgh was previously closed down to the garden and suffered from a lack of connection between the living and kitchen and dining spaces. 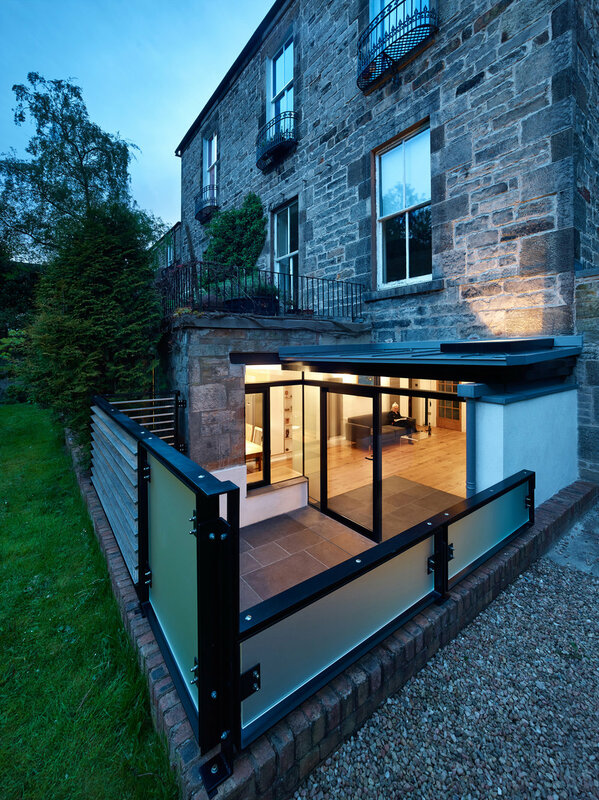 Our designs were for a modest zinc-roofed extension connecting a new open-plan living space with kitchen and dining space which wrapped around a paved external courtyard. Layering of strong linear forms and translucent screens frames views through the flowing spaces, and out towards the garden.